The 1953 Ferrari 250 MM is one of the most classic and best vintage roadsters of all time. The 250 series debuted in 1953, and continued to see production until 1964. 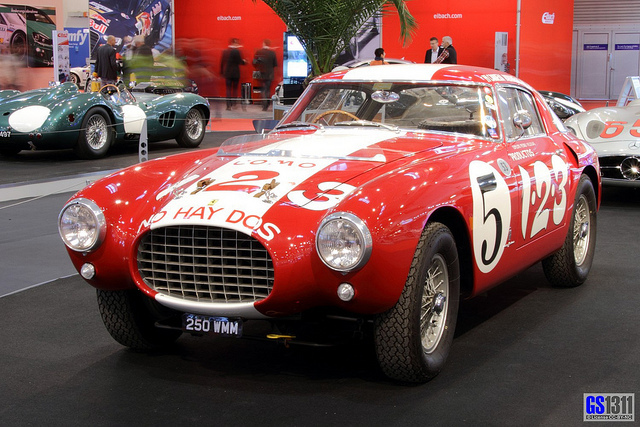 The innovative design for the time featured side vents and recessed headlights that became a signature of the Ferrari style of the time, and was designed to be a distance racer. The car is powered by a V-12 engine with a single overhead cam, and is rated at 240 bhp at 7,200 rpm. Drivers of the car have a four-speed manual gearbox to operate with, and the car sits on a 94.5 inch wheelbase. The 250 series of Ferrari was the most successful of the company’s early lines of car, and it remains a favorite amongst car collectors today.